These bangle-style bracelets are made from plastic made from recycled flip flops by a fair trade company in Mali. 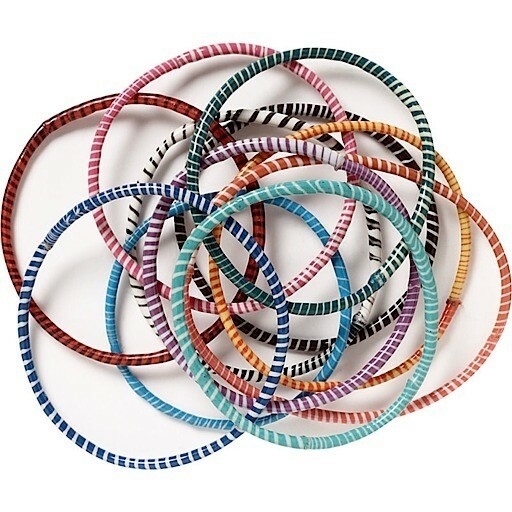 They look great stacked up with each other in fun color combinations, or mix them in with other bracelets! Color(s) will be randomly selected unless a preference is indicated by customer in order notes.